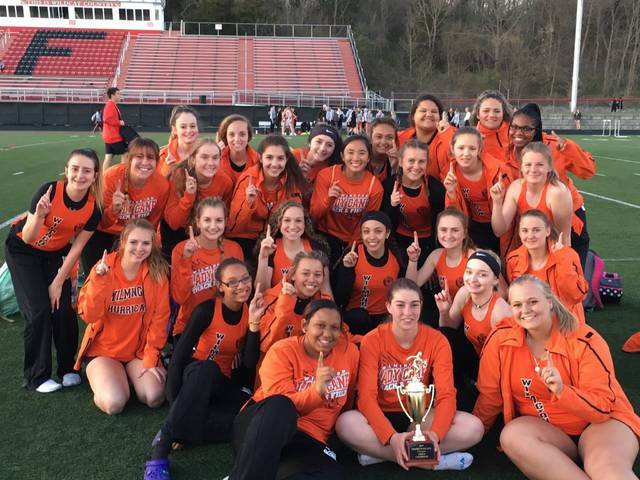 FRANKLIN – The Wilmington High School girls track and field team ran away with the Franklin Relays here at the Lions Club Municipal Park. “The kids did very well and we had to mix things up because of depth issues and injury,” WHS coach Roger Ilg said. The Lady Hurricane won seven of the 13 events contested, including the discus, pole vault, 400, shot put, 3200, high jump and 6400. Wilmington finished with 107 points while runnerup Edgewood had 69. Waynesville, Middletown Christian, Middletown Madison, Franklin and Carlisle also competed in the meet.